As Easter approaches, your kids may be asking some great questions about Jesus. We know you want to give them helpful answers. That’s why we created Jump Start. 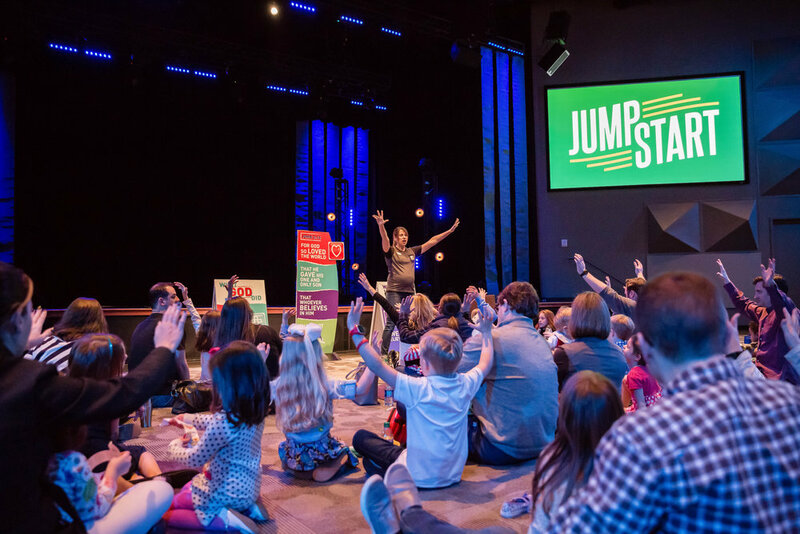 Jump Start is a 20-minute presentation where your kids will hear how God loves us so much that he gave us Jesus. Every family will go home with a helpful tool that will make it simple to talk to your kids about faith.